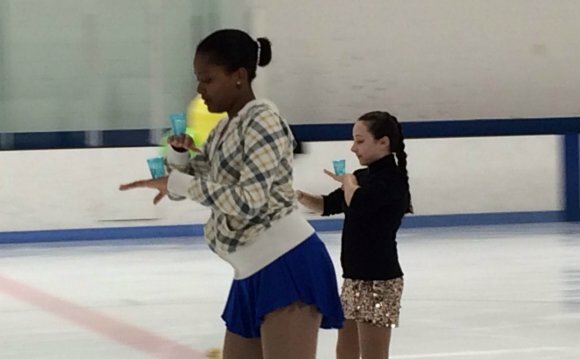 Christina is a United States Figure Skating Association 7th tester. As an amateur, she skated with the Winchester Figure Skating Club and trained under Donna Mancini. She won medals in Interclub, Open and New England competitions in figure and freestyle events. Christina turned professional in 1988. She is the Head Coach of the Burlington Hockey and Skating Association. She gives professional instruction to many private students at the Winchester Figure Skating Club, Colonial FSC, and the Hayden Rec. Center. Christina is also the Director of the Billerica School Department Tot's Skating Program. Christina is an active member of the Professional Skating Association and currently holds a rating with them. She attended the World Conference in Las Vegas, Nevada in 2001 and in San Diego, California in 2004, where she got to meet her favorite skater of all time - Scott Hamilton! She also attended the World Conference in Chicago in May 2008. She attends Professional Skaters Association (PSA) seminars to keep her informed of the many changes that occur in figure skating on a yearly basis. In 2009, Christina passed all 4 courses for PSA continuing education credits in the following areas: Ethics, US Figure Skating Rules, Sports Safety, and International Judging System (IJS) making her a compliant coach in category A for the 2011 qualifying season. In 2010 she also passed Sports Safety/Science and "coaching the young skater." Christina has coached New England Regional champions and medalists and has had skaters compete in final rounds at the US Junior National Championships. She has also coached Adult National medalists in freestyle and showcase events. Christina enjoys coaching all levels of skating. Kristen is a 2003 Eastern sectional championship competitor, 2003 North Atlantic Regional Championship pewter medalist, and Colorado Championship pewter medalist. Kristen is a USFSA gold medalist in Freestyle and Moves in the Field. She had a very extensive competitive career and retired from competitive skating in 2006. She trained under master-rated coach Debi Leeming for 12 years. Kristen has her apprentice program teaching certificate and basic written exam through the Professional Skaters Association, where she is also a member.